The Maryland Legal Services Corporation board of directors is pleased to announce the winners of the 2018 Annual Awards. 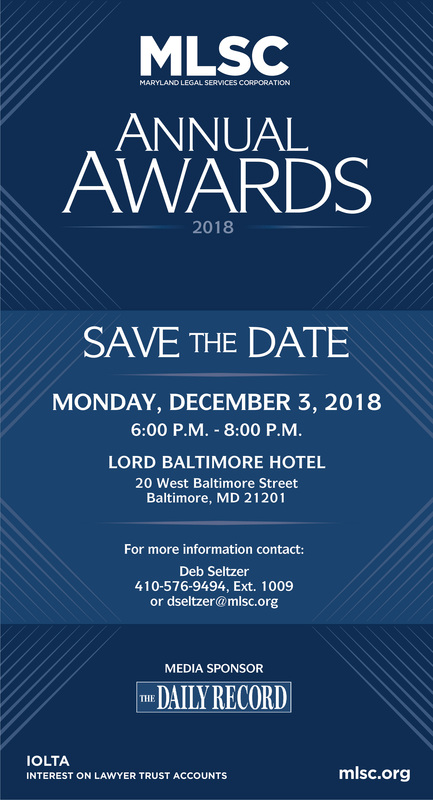 The winners will be recognized at the MLSC Annual Awards Reception, to be held December 3, 2018 at the Lord Baltimore Hotel in Baltimore. Learn more about the event at mlsc.org/awards/annual-reception. Andrew Jay Graham, principal and co-founder of Kramon & Graham PA, is the 2018 recipient of the Arthur W. Machen, Jr. Award. Graham served as chair and co-chair of Maryland Legal Aid’s Equal Justice Council for 13 years, helping to raise more than $3 million in support of civil legal aid. He led the Equal Justice Council’s Law Firm Campaign, making countless personal phone calls and visits to rally firms in support of access to justice through donations and policy advocacy. Bonnie Sullivan, executive director of Maryland Volunteer Lawyers Service, is the 2018 recipient of the Benjamin L. Cardin Distinguished Service Award. Sullivan has guided MVLS through an expansion, increasing the roster of volunteer attorneys, organization budget and, most importantly, services to Marylanders in need. Under her leadership, MVLS has added services to respond to changing legal needs across the state. Ms. Sullivan also works to promote civil legal aid and the importance of pro bono work, serving on a number of local and national commissions. MLSC will present two Rising Star Awards in 2018. Mallory Finn, staff attorney with Project HEAL at the Kennedy Krieger Institute, represents children with disabilities and their families in special education cases across the state. She zealously represents her clients, ensuring that families who are navigating difficult situations truly feel they have an advocate. In her short law career, Finn has also become a well-respected presenter at regional and national conferences. Matthew Stubenberg, until recently the IT director and staff attorney with Maryland Volunteer Lawyers Service, has had a tremendous impact on the delivery of civil legal services in Maryland. He developed such innovations as CLUE, a scraping program that collects publicly available data, and MDExpungement.com, a software solution to automate criminal record expungement. In just 2 years, MDExpungement.com has generated more than 50,000 expungement petitions and submitted more than $1.3 million in filing fee waivers. Stubenberg has also been active in training other attorneys with the development of a virtual reality courtroom and Coding for Lawyers classes. He was recently named assistant director of legal technology at the Harvard Law School Access to Justice Lab. 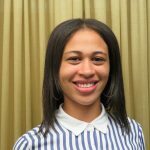 Tacha Marshall, paralegal/advocacy specialist with Disability Rights Maryland, is the 2018 recipient of the William L. Marbury Outstanding Advocate Award. Marshall has been with DRM since 1989, starting her career as a legal secretary. 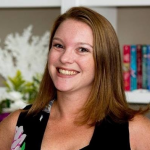 She quickly showed skills and abilities to become a paralegal and has advocated for clients in mental health and other residential facilities. She then became the first point of contact for all families seeking special education assistance. After recently graduating with her master’s degree, Marshall was promoted to individual special education casework. Her compassion and knowledge make her an ideal advocate. The Zeta Center for Healthy and Active Aging is the 2018 recipient of the Herbert S. Garten Public Citizen Award. The Zeta Center offers a range of services, programs and activities to meet the social, physical and intellectual needs of older adults. Recognizing that many senior citizens have legal needs, the Zeta Center has partnered with Pro Bono Resource Center, Baltimore Bar Foundation Senior Legal Services and Maryland Volunteer Lawyers Services on a variety of civil legal services and workshops. The Center has been an enthusiastic partner in providing services regarding tax sale prevention, consumer debt and estate planning. Harriet Robinson, recently retired deputy director of MLSC, will receive a Special Recognition Award in honor of her distinguished career in civil legal aid. Former board chair Glenn Ivey will receive an Award for Outstanding Board Service in recognition of his significant contributions during his six years as MLSC’s presiding officer. MLSC’s mission is to ensure low-income Marylanders have access to stable, efficient and effective civil legal assistance through the distribution of funds to nonprofit legal services organizations. Since the Maryland General Assembly established the organization in 1982, MLSC has made grants totaling over $289 million to help provide services in more than 3.1 million legal matters for Maryland’s families in areas of family, housing, consumer, employment and other civil legal matters. The Maryland Legal Services Corporation board of directors elected M. Natalie McSherry, principal at Kramon & Graham PA, as its chair at its September 26 meeting. McSherry is the first woman in MLSC’s 36-year history to hold this position. “I am looking forward to helping maintain the tradition of MLSC in its leadership role in Maryland legal services. Our staff and board have long been recognized as national leaders in this field, and it is a real honor to serve with them to continue to work to meet the legal needs of Marylanders who otherwise could not afford counsel or have meaningful access to justice,” McSherry said. McSherry is a nationally recognized trial lawyer with more than 40 years of experience in commercial litigation and health care law. She is a graduate of Manhattanville College and the University of Maryland Francis King Carey School of Law. McSherry has served on the MLSC board since 2012 and succeeds Glenn Ivey as board chair. 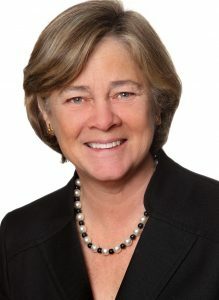 She was recently awarded The Daily Record’s Leadership in Law Lifetime Achievement Award and also serves on the boards of the Maryland Bar Foundation, St. Ignatius Loyola Academy and Woodsboro Bank. MLSC’s mission is to ensure low-income Marylanders have access to stable, efficient and effective civil legal assistance through the distribution of funds to nonprofit legal services organizations. Since the Maryland General Assembly established the organization in 1982, MLSC has made grants totaling over $270 million to help provide services in nearly 3 million legal matters for Maryland’s families in areas of family, housing, consumer, employment and other civil legal matters. Deb Seltzer has been promoted to program director. In this role, she oversees MLSC’s grantmaking process and other special projects. Seltzer holds a Master of Public Affairs degree from Indiana University and has a background in nonprofit management and fundraising. She most recently served as grants manager with MLSC. Athana Kontinos has joined MLSC as program coordinator. She is responsible for database management and assisting in a variety of grantmaking and communications activities. Kontinos holds a Master of Public Administration degree from Baruch College. She most recently served as business development director for a private company and also has years of nonprofit experience. 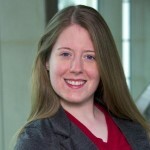 Jasmine O’Grady has joined MLSC as office assistant, providing office and administrative support. O’Grady is a graduate of the Community College of Baltimore County and has five years of administrative experience. More information about sponsorship is available by clicking here. Questions? Contact Deb Seltzer at 410-576-9494 x1009 or click here to email. Nominations for the 2018 awards must be submitted to MLSC not later than June 15 June 30, 2018. Awards will be presented at an Awards Ceremony in the fall. For online nomination forms, printable forms, nomination descriptions and instructions as well as a list of past award recipients, see Nominating Process. If you need any additional information or assistance, please contact us at 410-576-9494.